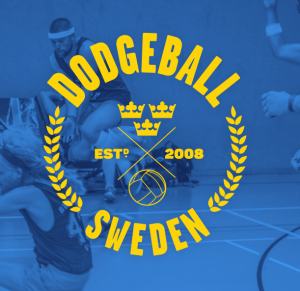 One year after the inaugural EDBF Dodgeball European Championships in London, nations gathered again, this time in Stockholm to continue to build on the success that were the first Euros. 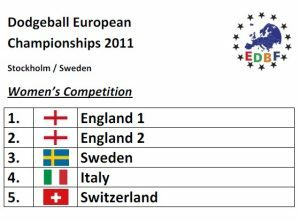 The men’s competition saw a huge increase in participants, from 7 teams competing in London to 11 teams in Stockholm. Also, the women’s tournament was introduced for the first time, featuring 5 teams from 4 nations. Switzerland and Finland made their first international appearances. 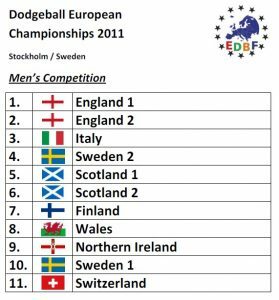 England took home 1st and 2nd place in both competitions, securing their leading role in European Dodgeball.